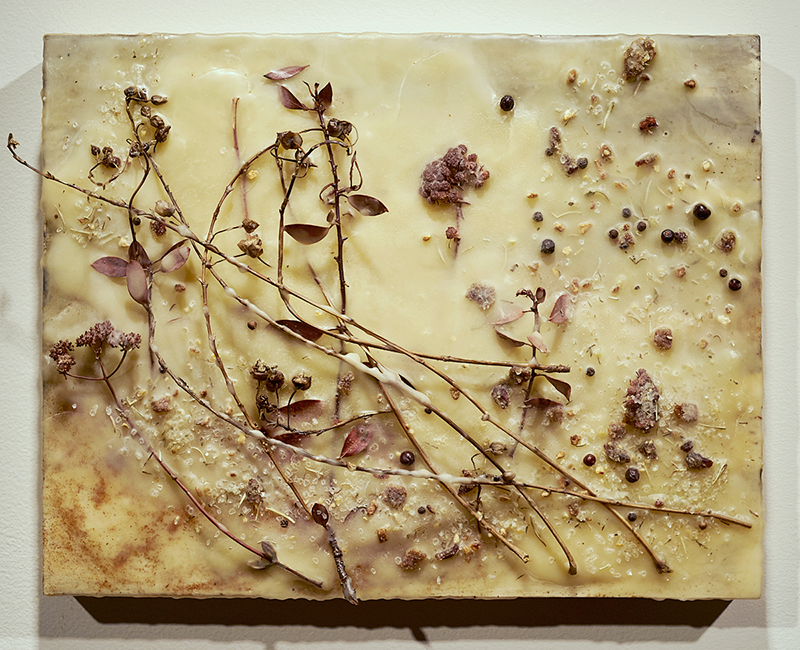 Thursday through Monday 11:00 a.m. – 4:00 p.m.
presents the work of seven artists who are working with natural materials or naturally occurring elements to create their finished pieces. Exploring the fringes of photography, sculpture and painting, and intersecting with notions of sustainability, the exhibition highlights ways that each individual extends beyond boundaries to produce provocative and experimental results. With many never before seen works created for All Natural, the selection will take viewers on a journey of the American west from desert to ocean and showcase unorthodox uses of media such as encaustic wax, rock, minerals, precious metals, textile, clay, and other materials sourced from the natural environment. Artists include SDSU School of Art + Design alumni Stephanie Bedwell and Jennifer Anne Bennett, and scott b. davis, Roman de Salvo, John Oliver Lewis, Jessica McCambly, Meghann Riepenhoff. All Natural is organized by the SDSU Downtown Gallery. The exhibition and events are sponsored by the School of Art + Design, the College of Professional Studies and Fine Arts, and Arts Alive SDSU. Additional support is provided by the San Diego State University Art Council Ambassadors. For more information, contact Chantel Paul, Downtown Gallery Director at cpaul@sdsu.edu. Your browser does not support iframes. You can still use Google maps to view the Parking Map. $5 flat rate when you enter after 5:00 pm and exit before Midnight. *Garage main entrance closes at 7:00 p.m. After 7:00 p.m., enter through the lobby on W. Broadway to parking garage elevators. *Exhibitions and events at the SDSU Downtown Gallery are free and open to the public.